Amazon Echo is a hands-free artificially intelligent bluetooth speaker that can be controlled via voice. It connects with Alexa, which performs a variety of tasks as an intelligent personal assistant and can act as a home automation hub. Alexa voice service comes with extensive features such as voice interaction, the ability to make to-do lists, play music, enable alarms and notifications, and listen to audio books. You can also get updates and real-time information on traffic, weather and other relevant information. Royal Cyber is an Amazon Standard APN Consulting Partner. We offer our clients a range of custom-built automation solutions to address their specific business needs. Our research team continues to expand our solutions portfolio and offerings to help businesses around the world solve challenges and achieve success and ensure greater returns on investment. At Royal Cyber, we provide comprehensive Alexa consulting services to help our customers configure Alexa to interact with devices in a more intuitive way using voice. Alexa has the ability to continually learn and add more functionality with time. For instance, Alexa can adapt to the user’s speech patterns, vocabulary, and personal preferences. Royal Cyber offers custom app development and integrations using Amazon’s Alexa Skills Kit (ASK). Amazon’s Alexa API is available free. As it is a RESTful API, our developers can apply ASK to almost any kind of device or app. 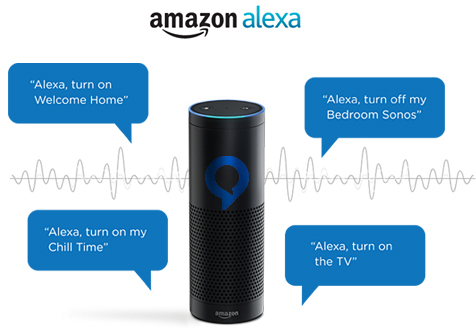 Royal Cyber’s skilled developers use the Alexa Voice Service (AVS) to voice-enable connected products with a microphone and speaker. We can also build products that access Alexa’s extensive capabilities and international availability through regular API updates. The Amazon Alexa App supports the Alexa device for setup, remote control, and offers enhanced features. With a wide range of implementation and support services, Royal Cyber offers expert services and tailored solutions at competitive prices. With more than a decade of global experience creating custom solutions for our international clientele, Royal Cyber has the expertise to deliver quality services at competitive prices.